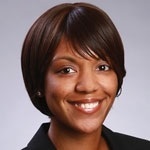 Channon Brooks first started working at Lerner-Rouille in 2011. Originally from New Jersey, she had moved to Georgia to earn a degree in accounting at Georgia State University. Upon graduating, Channon returned home to work at Bloomberg Financial but soon found that she missed Atlanta. She reached out to Lerner-Rouille and found that they would be thrilled to welcome back someone with her facility for numbers and personal touch. In short order Channon was back in Atlanta. Today she sees to numerous administrative responsibilities and applies her attention to numbers to the detailed work of inputting client data and assisting advisors with portfolio reviews. Channon's favorite aspect of her work at Lerner-Rouille is that the demands and challenges of her job change daily. "I like the variety, both in the work and in the people I get to meet and interact with. I really enjoy the client interaction," she adds. "We have fun and charming clients, and I get to do my work in collaboration with a great team!" When she isn't at work, Channon can be found indulging her two passions: baking and bowling. Channon comes from a long line of highly adept women bowlers and has been practicing the sport since she was eleven years old. In her free time, Channon puts in plenty of visits to the bowling alley so that on visits home to Jersey she can keep up with the other champion bowlers in her family.